This means it is the perfect time to talk about his dubious 90swomanhood. I loved his memoir Chronicles. It’s the most ruthless book I’ve ever read about clawing your way into immortality. He uses everything and everyone around him and gives it all to his talent. To me, it’s inspiring in a twisted way, something all girls who are hung up on being nice at all costs should read. Of course, he also embodies the anthesis of the community-building spirit of the 90s. Essentially, he’s the last person you’d ever want to date. But you have gone so far as to say you hate him, I think? So, is Bob Dylan the Anti-90s-Woman or a good role model for 90s Women? I am, admittedly, not a Dylan fan. And I’m okay with that. Pretty brave move for Joni Mitchell to call him out. I actually like other people’s interpretations of his songs, so maybe I’m reacting more to his voice than his words. On Love and Theft, Dylan in one song says “some of these women, give me the creeps”. It is called I think “Honest with Me”. Easy to call a man a creep, especially one you don’t know. If we are gonna have equality we have to think some women are creeps too. A man like Bob has so many women hurling themselves at him for all sorts of reasons its easy to see how he would find some of them creepy. Not many would have altruistic motives. Its pretty hard to label someone a misogynist if you don’t know him. Its like calling Mark Twain a racist because Huckleberry Finn uses the N word, when actually Twain was very much the opposite. Joni Mitchell was not a paragon of virtue, so who is she to judge Dylan anyway? He reminds me of Bette Davis in his charming ruthlessness. He is still my favorite musician – he’s very honest and, unlike Joni Mitchell, he realizes that everyone plagiarizes. He takes old forms and works them into new poetry. I think he’s a genius, but eh, who cares what I think? I doubt Dylan Thomas would have made a good boyfriend either, but he’s a magnificent poet. What is all this rock god persona gee, I don’t think I would like Bob for a boyfriend crap about? Oh, and gosh his voice just isn’t pretty. Bob is in a catagory of his own and we are lucky to be alive and see his genius unfold. ALL artists and musicians take from each other and influence each other. IT IS OK. Joni knows this. She is hung up for whatever reason. Bob sponged in an enourmous amount of music and created his own unprecidented masterpieces. Honesty…. Listen to his lament about his treatment of Nurturing Goddess Woman in Shelter from the Storm. It is Cosmic. And in “I want You,” in one stanza he nails men. “Now all my fathers they went down, true love they went without it. But all their daughters put me down cause I won’t talk about it.” He admits his lack of balance. Who eles can write like this? Let him be one of a kind. Joni Mitchell calling Dylan out? Please. She was good but is only a candle to his supernova. 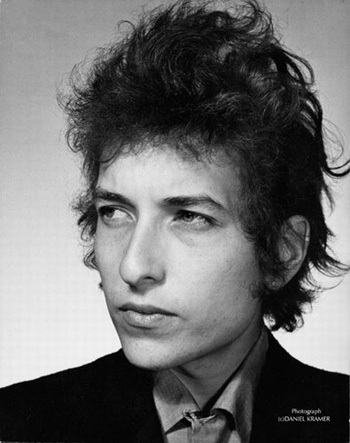 There is and always will be only one Bob Dylan and nobody else even comes close…ever. Bob Dylan is a genius and is as far from fake as a person can get. Something is happening here and you don’t know what it is. Do you, Mr. Jones? Zimmerman is a fake… of course he is. So what? he wrote some decent songs… he was part ot something much bigger than one person could ever be alone, and was decent at navigating his way through it all. Dear Mary… I would suggest that you take a long look at Joni Mitchell (her REAL name) who’s actual value as a true artist so vastly outranks a media ‘genius’ like Zimmerman, it is insulting to even compare the two. Mitchel’s breadth, depth, honesty, courage, and focus on the true value of art is unique. Jerri… how does this one stanza ‘nail men’ ? Frankly, I have no idea what he’s talking about… and he certainly is NOT speaking for me. I respect the man for what he has accomplished…. that… and nothng more… meaning… a few good songs in his early years… other than those songs, there are many writers who’s contributions outweigh his by leaps and bounds… including the man he copied to the point of parody in those early songs, and when juxtaposed to, shows himself as the pale-in-comparison imitator that he was. Joni Mitchell isn’t her real name. She’s Roberta Joan Anderson and as guilty as cultivating a persona as anyone else. bob dylan the greatest no doubt about it pure, genius. Bob Dylan is one of the greatest men who ever lived, nobody is more perfect and genius than him. BOB DYLAN’S LEGACY WILL LIVE ON FOREVER IN HIS RECORDINGS AND IN OUR HEARTS Because his music IS authentic and came from the heart. Anyone too dense to receive his music any differently is clearly too artless to be stating such a boldly uninformed opinion. Its unbelievable that even I felt inclined to dignify this with a response but Bob is one of my favorites and the all time greats.